Seeking a personalized pool for your home or business? Here at Master Pools of Austin, we deliver innovative swimming pool installation and design across Texas, including the beautiful city of Westlake. Driven by exceptional creativity and craftsmanship, we are experts at turning your vision into reality. We listen to our customers, making sure we create swimming pools and landscaping that reflects our clients’ personality and desires, striving to make the whole process an easy journey from start to finish. Swimming pools are the ideal way to boost mental wellbeing, increase fitness, and to enjoy the blissful Texan summers – as well as being a hub of social activity for your family and friends alike. 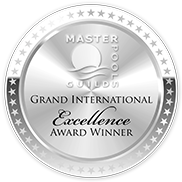 We’re proud members of the Master Pool Guild – such membership is difficult to obtain, and sets us apart as a premier company offering the very highest standards of customer care and product quality. Our professionals can design and construct a truly tailor-made pool, including indoor and outdoor swimming pools, above ground swimming pools, and a diverse array of many other style and size options. Ready to get started? Give Master Pools of Austin a call today, and our friendly advisers will be on hand to help.